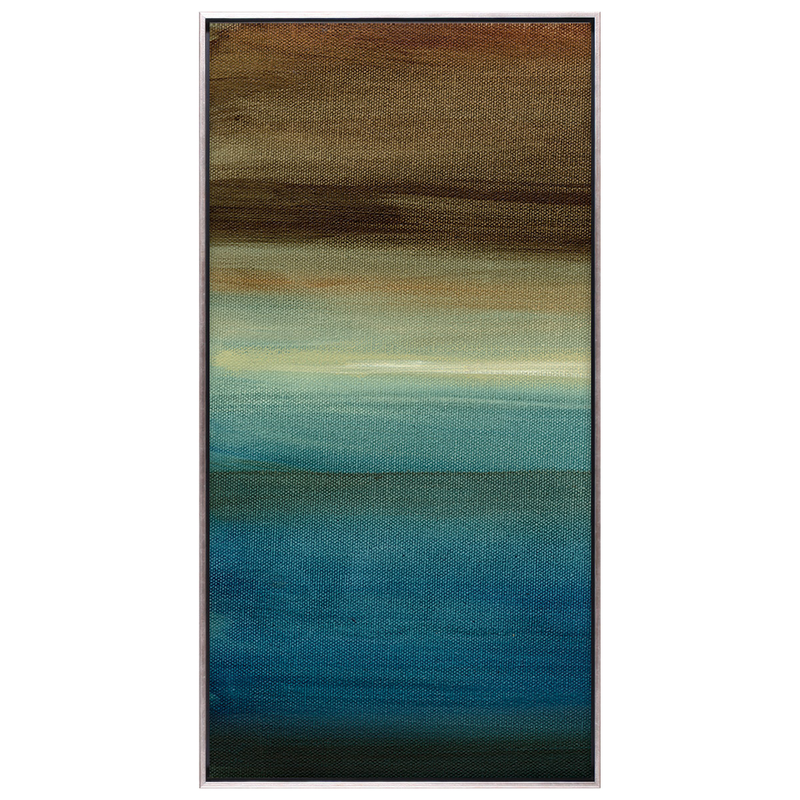 Add style to your entryway with the Dusk Horizon I Framed Canvas. This framed canvas features an abstract blue, brown, and cream seascape surrounded by a thin, brushed silver frame for contemporary coastal flair. 22"W x 2"D x 42"H; 14 lbs.